Sent by Alf. 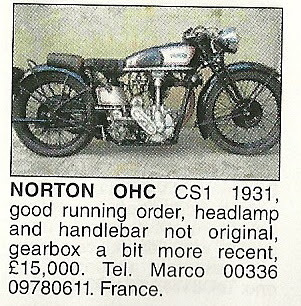 From the April 2011 issue of The Classic Motorcycle. Don't bother contacting Marco, it's gone already.